We are happy to announce that we have added another great partner to our growing network of strategic global partners. German Ubilabs - a software agency specialised in creating interactive maps for businesses across Europe and the US - are like MapsPeople, a Premier Google for Work Partner. With a strong customer portfolio and an expansive knowledge of the mapping market across Germany in particular as well as a strong digital and graphic identity, Ubilabs will be an important addition to the MapsPeople partner network. 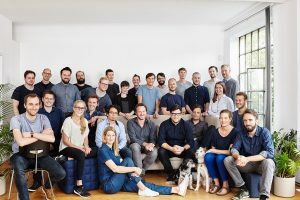 Ubilabs was established in Hamburg in 2007 and currently employs around 40 dedicated people who create anything from store locators to visual representations of data for companies in Europe and the US. Ubilabs currently has offices in Hamburg, Munich and San Francisco. Their client portfolio includes companies like Daimler, Star Alliance and National Geographic. “Our indoor wayfinding platform MapsIndoors is aimed at large venues across a range of industries and with a profound understanding of those potential business cases across Germany, we are confident that the MapsPeople and Ubilabs partnership will benefit not only us, but also our future customers” says Christian Frederiksen, Head of Partner Management at MapsPeople. The main focus of the partnership is to bring indoor wayfinding to the German speaking markets and to further develop new features and possibilities with MapsIndoors. "Together with our partner MapsPeople, we are pleased to be able to offer MapsIndoors to the German speaking markets and to contribute our competences in the area of mapping, mobile and data visualization,” states Jens Wille, Managing Director of Ubilabs.